Although I have been previously asked to document music education’s relationship to the general curricula, previous data while interesting, did not address a more broad set of variables influencing academic success. However, new data have been presented to me to that are so overwhelming that I can no longer ignore the contribution of participation in music and the other arts disciplines to a student’s academic growth and success. New data, provided by the Florida Department of Education, of students from across the state, illustrate a powerful correlation indicating that individuals, who participate in school music experiences, achieve higher academic success in the classroom and higher scores on the Florida Comprehensive Assessment Test (FCAT). Additionally, while the correlation of music participation to academic success has been stated before, the new data also shows the effect of music participation on a broader base of individuals including students from varying races, ethnicities, and socioeconomic levels. Furthermore, the data show that students participating in music classes for eight or more semesters (4 or more credits) benefit even more. However, the expanded new data go still further in demonstrating music’s contribution to Florida education. New data show an additional correlation that students who participate in K-12 music classes have a lower dropout rate than students not enrolled in music and that these individuals score higher on SAT exams in addition to the FCAT. Thus, the new data provide a clearer more comprehensive report of the influence of K-12 music education experiences in the overall academic success of Florida public school students than any data previously examined. For students on “free and reduced lunch,” an indicator of socioeconomic levels, the more music and arts classes taken, the higher the student achievement in all measures. For students divided by ethnicity, the more music and arts classes taken, the higher the student achievement in all measures. How is this possible? The frequent perception is that only “talented” students join music classes and these students tend to always score well on academic assessments. Yet, because the data are taken from the entire state student population and include expanded cultural and academic demographics, the new data show that participation in school music education activities can benefit ALL students, not just the “talented” few. The process involved in music is similar to all courses requiring the development of critical thinking and decision-making skills. Studies have linked music to enhancing the development of math and reading scores. However, the results of these studies in isolation are inconclusive. The product of music by itself has not reliably been shown to make students smarter. While correlations demonstrate a relationship they do not firmly establish cause and effect. However, it is not the product of the performance, rather the process that enhances growth. Previous results highlight the processes demonstrating that involvement in music education stimulates the human brain in manners that appear to promote cognitive growth (A Meta-Analysis on the Effects of Music as Reinforcement for Education/Therapy Objectives; Jayne M. Standley; Journal of Research in Music Education, 1996; The Musical Mind: The Cognitive Psychology of Music, 2003; John A. Sloboda). Research studies have shown that curricular activities which provide intrinsic motivation, complexity, and opportunities to experience the direct results of the learning experience seem to stimulate brain cell activity. Thus, the multi-sensory experiences encountered in every music class contribute to processes that promote the development of skills correlating to academic growth and future success. Furthermore, music classes maybe the only curricular offering that involve the broadest use of human senses. As research strongly supports, students learn in many different ways and through a wide variety of manners (Educational Psychology, 1998, Anita Woolfolk). Music classes involve hearing, vision, touch, and taste (when students place a trumpet to their mouths or a clarinet reed in their mouths). The simultaneous use and coordination of the senses promote the stimulation and correlation development of skills leading to academic success in areas such as math, reading language, critical thinking and social development. This process explains the correlation within the new data from Florida students. The exciting new data from Florida students show that all students can benefit academically and socially from participation in school music programs. They show that music education contributes to areas that are important to the future of all Floridians. No other aspect of the school curriculum provides a cultural diverse experience while stimulating the cognitive processes involved in preparing students to achieve higher levels of academic achievement than school music education programs. Music education is more than a public performance. It is an academic learning process that requires the development of cognitive, behavioral, psychomotor, affective, and social skills. Music education is one of the few universal phenomenon taught in schools that have been associated with human development since the very beginnings of human activity. Consequently in a global world, studying music is participating in a global behavior conducted through universally accepted practices. The Florida Department of Education has now provided overwhelming data showing the influence of music experiences on our students and their academic success in areas assessed by the FCAT, SAT, overall school grade point averages, and school drop-out prevention. Few, if any, single curricular offerings can make such a strong impact on student development and success. Steven N. Kelly is an Associate Professor of Music Education in the College of Music at Florida State University. He received his bachelor and master degrees in music from the University of North Carolina at Greensboro and his Ph.D. in music education from the University of Kansas. 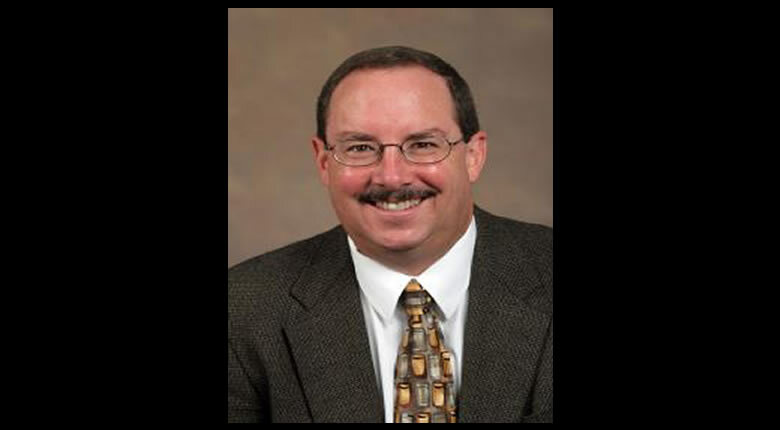 Dr. Kelly has published in international and national research journals, and regularly presents papers and workshops at state, regional, national, and international conferences. He currently serves on the editorial boards of the Journal of Research on Music Education, Research Perspectives in Music Education, and the Florida Music Director and is the author of the textbook Music Education in American Society: A Social and Cultural Understanding of Music Education.